Provided photo 1980s hit-maker Rick Springfield is coming to Troy Saturday for an 8 p.m. concert at Hobart Arena. TROY — Rick Springfield admits he’s a bit of a homebody when he’s not on the road. No fanfare. No hoopla. Pretty low key. “It’s (all about) the connection with people,” Springfield said Thursday during a phone interview from Los Angeles. “Playing live is my connection with humanity and it’s kind of a home run. You’re throwing the best party in the world and everybody is invited. Springfield’s winter tour schedule brings him to Troy Saturday where he’ll grace the Hobart Arena stage for an 8 p.m. concert. Opening act Stranger is scheduled to get the evening rolling with a set featuring covers of popular ‘80s hits. Perhaps best known for his 1981 hit “Jessie’s Girl,” Springfield has fashioned a lengthy and diverse career since joining his first band in the late 1960s. He’s a songwriter, multi-instrumentalist, actor and author who is working on his third novel. The 69-year-old native of Australia said he hopes fans at Hobart enjoy the musical menu he has planned. Springfield’s “Snake King” album — which came out in early 2018 — is a blues-infused album of thought-provoking songs. “Most of (the response) has been incredibly positive, and some of it not so much,” he said with a laugh. “A couple people have gotten up and walked out. But that’s what it’s all about. It’s about stretching yourself and doing new things. I had a lot of things I wanted to say on that album. I wanted a record that I would want to play live, and (‘Snake King’) is exciting to play. Springfield said the motivation for each of his creative experiences draws from the same well … sort of. As for music, Springfield didn’t hesitate when asked why he still hits the road to perform live: He’s still having fun. 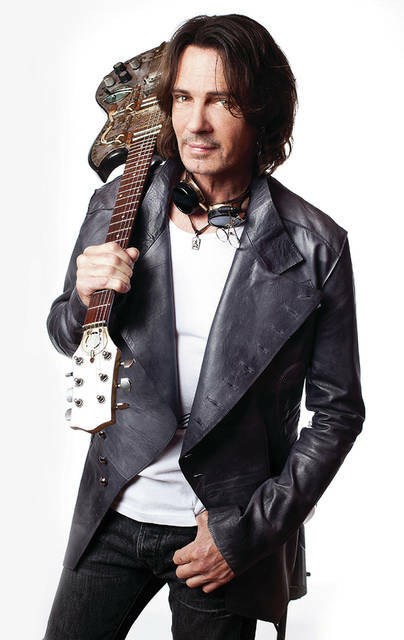 https://www.dailycall.com/wp-content/uploads/sites/30/2019/02/web1_RickVert.jpgProvided photo 1980s hit-maker Rick Springfield is coming to Troy Saturday for an 8 p.m. concert at Hobart Arena.